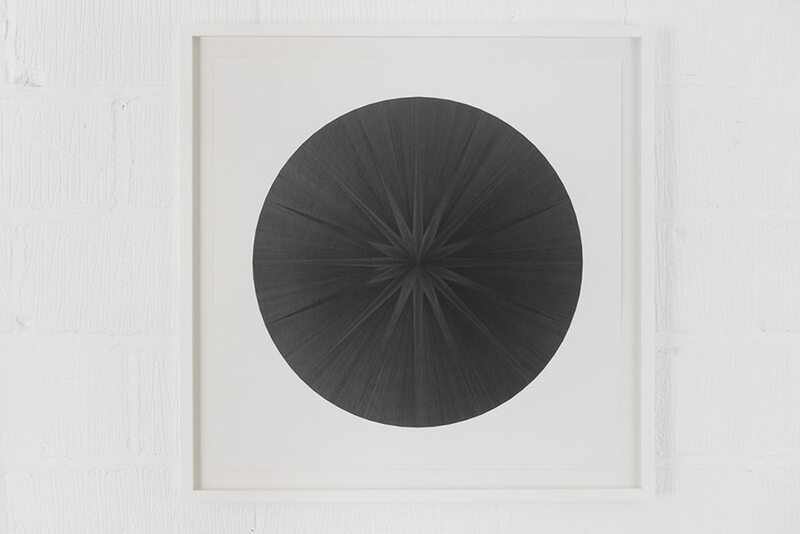 Mohammed Qasim Ashfaq is an emerging Scottish artist with a forthcoming exhibition at Hannah Barry Gallery – ‘Black Sun’. 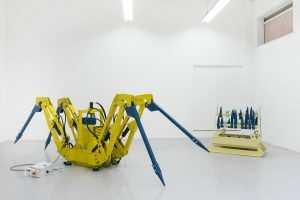 His practice merges painting; sculpture an installation with a fascination in geometric patterns and planes, expressed in a monochromatic scheme, which serves to heighten the angular shapes and forms. For this show he had created a monumental orbital drawing executed directly on the wall in shimmering polished graphite, creating an impression of infinite vastness, of nothingness beyond surface and reflection. 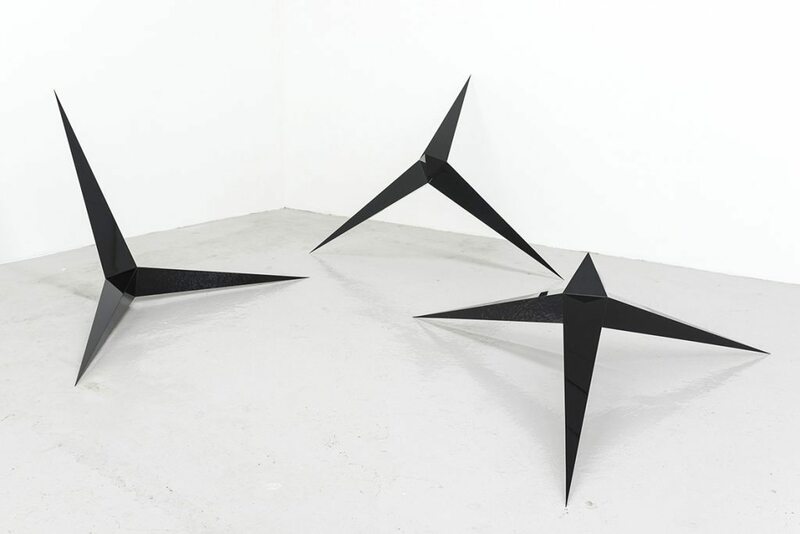 Whereas his sculptural pieces are angular, with seemingly razor pointed tips, with forms and lines interacting and reacting. They tend to vast and the scale adds to the awe factor. Their titles such as ‘Mass’ or ‘Falling Stars’ point to his interest in the cosmos and the dark unfathomable entity of space. The artist is known for his play on symmetry, delighting in the off tones of black, creating a distinctive form of minimalist abstraction that oscillates on the eye. It is an art that is deceptively simple, refined and elegant. The artist has been cited by the FT as the great hope of British sculpture and is featured on permanent display at ‘ROD’, curated by Sir Norman Rosenthal, Embassy Gardens in 2015, last year he was in ‘It’s Me to the World’, with Marina Abramovic, Dorothy Cross, Richard Long, Hannah Rickards and Corin Sworn at Modern Art Oxford, UK. As well as ‘What’s up 2.0’, curated by Lawrence van Hagen, 94 Portland Place, London. 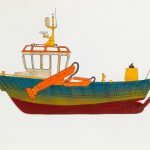 This entry was posted in YOUNG ARTIST TO WATCH and tagged Hannah Barry Gallery, Mohammed Qasim Ashfaq. Bookmark the permalink.